We build effective websites for businesses, nonprofits and individuals — on time and on budget. We're a two-person shop building great websites for small companies in Long Beach. We don't have the bloated overhead, staff or expenses that make other web firms so pricey — and so slow. Instead, we're affordable, responsive and extremely good at what we do. And, according to our clients, extremely pleasant to work with. From design to front-end coding to copywriting and content creation, we provide the elements you need to launch a successful website. We'll help you promote your site through email marketing, online advertising and search engine optimization, and provide you with the tools to gauge your site's performance. 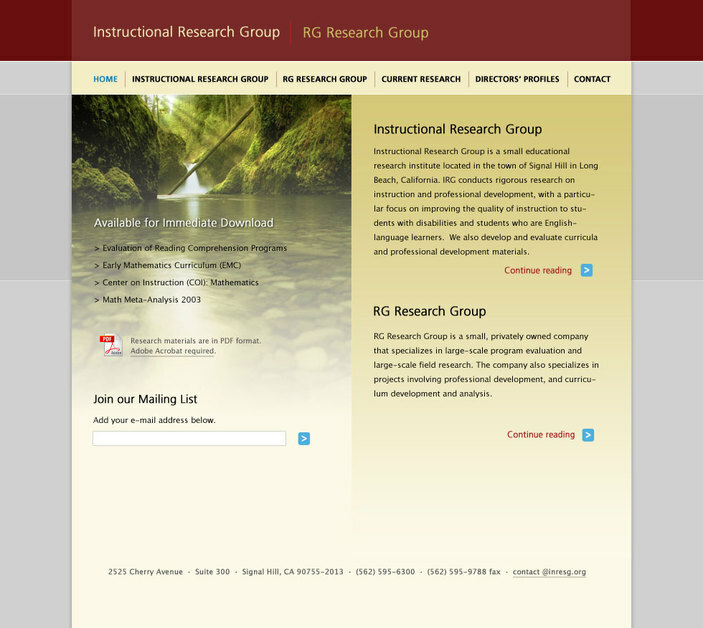 A screenshot from the redesigned Instructional Research Group website.